In an American headline world dominated by an Alaskan governor, in the face of tragedy on the floodplains of India (three million people displaced), and escalating tensions worldwide, it’s time to escape into a good western, where problems can be solved in about ninety minutes. In the midst of more chatter/discussion about Republican VP choice Sarah Palin, a quiet confirmation of all that I have been working for these many years. Um, months. Greg Piper of the Moderate Voice gives a moment in history. Leslie Stahl from “60 Minutes” once recounted that Ronald Reagan’s media maven Michael Deaver thanked CBS for a critical report about Reagan, and she had asked why. 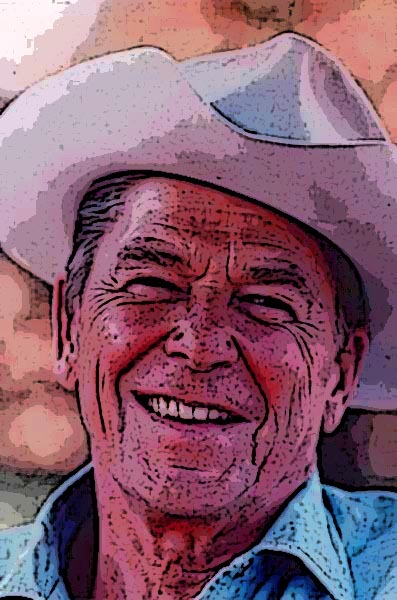 Because of the shots of Reagan in his cowboy-style clothing on a ranch. “People don’t pay attention to the words,” he reportedly said. So pull on the cowboy hat, boots, buckle, set yourself up on the porch of a ranch house (and not a ranch-style house, please). Say whatever you’d like to say, because there is gold in them thar accouterments. Awesome! Small, dilapidated trailers steeped in regret. Rough-hewn pioneer furniture, paper for windows, and those annoying black beetles that are everywhere in the West, looking for shade, dropping out of the ceiling onto your bed. And oil-soaked furniture! Glad to know Western décor is back. Glen Campbell, the original Rhinestone Cowboy, has just released Meet Glen Campbell. As Johnny Cash did with his American recordings, Campbell is reinterpreting some pretty edgy songs. A very affecting one is his sweet rendition of the Velvet Underground’s “Jesus.” Take a listen. 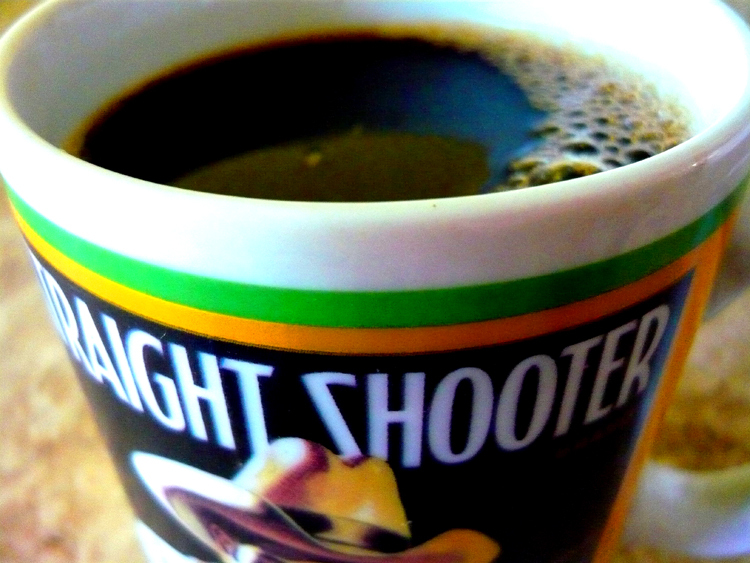 I always wanted to know how to make real cowboy coffee. I mean, I’ve sucked grounds from between my teeth with the best of them, but “rich and flavorful” is not what I would have called it. Now I know. You get the metal saucepot. I got the recipe. Those pale and sweltering hills look familiar. Your lips move but a dubbed voice sounds–Eli Wallach? Your vision is fractured into tight closeups of face/gun/hand/eye/twitching hand/gun/squinting eye (Clint! )/hand convulsing for gun/pow! Yup, you’re at the Spaghetti Western world of the Tabernas desert, where touristy wild west towns abounds. Stalk the streets with Il Buono, il brutto, il cattivo. Enjoy this post, from an appreciator of all things Spain. 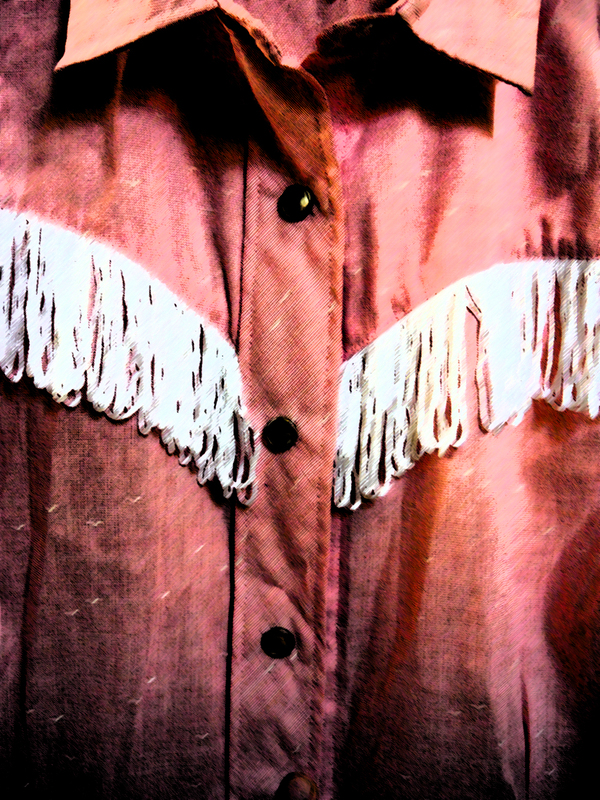 The cowboy shirt became the cowboy shirt largely through the nimble fingers and mind of Jack Weil, founder of Rockmount Ranch Wear. Does your western shirt have a yoke? Does it have snaps instead of buttons? Does it have indescribably perfect touches like embroidered six-guns or sequined flowers? Give thanks to Jack Weil, who passed away recently. And give thanks to the nimble Googling of blogger Maureen Rogers of Pink Slip, who discovered more of what makes the Rockmount brand, and Jack Weil, so damn special. Check it out. One of my heroes, Jerry Reed, passed away on August 31. I didn’t know anything about his successful Grammy Award-winning music career; he was the “Snowman” in Smokey and the Bandit, which was the ’70s suburban epitome of rockin’ rebellion. Ah, the risqué moment when Burt Renolds finally took off his hat (to sink below the camera frame, kissing Sally Fields)! Ah, the killer moment when Sally Fields gives the finger to the Man–what every teenybopper in the audience wanted to do but would have to wait a couple of years and several keg parties later to try. But it was the Snowman–Jerry Reed–who loomed large for me. He drove a massive eighteen-wheeler that could crash through police barriers as if they were matchsticks; he could spout sweet trucker jargon into his CB radio; he had an amused gleam in his eye and a way of cranking up the energy with a cowboy yell. To Jerry Reed, and to all those modern cowboy-truckers out there, happy trails to you. A Kenworth w900, similar to the rig that Jerry Reed drove in Smokey and the Bandit. From a truck driver/enthusiast at dreamweaver.com. It won second place–should’ve been grand prize for this mofo.